All crew positions are for licensed / unlicensed / trained and/or experienced candidates. Entry level positions are available for novices. 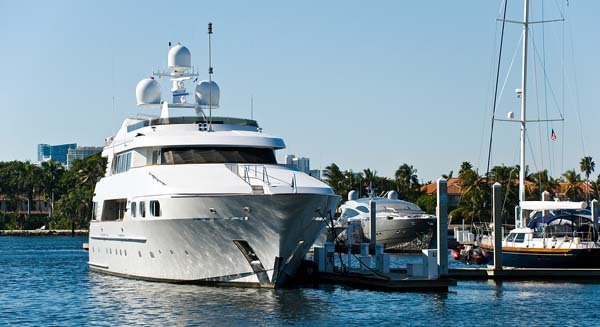 Prior experience or training in related positions off yachts is also helpful for placement. The Applicant's Profile needs to be completed on the on-line database and a resume, photo and video uploaded. Licensed crew members will need to submit scanned proof of certifications to crew@crewfinders.com. We have off-line storage for their document information. Personal or telephone interviews are conducted and reference verification requested. The owner or captain contacts us, to request information be submitted to them on applicants meeting the qualifications of their open position. We email the crewmembers to confirm their interest in the opportunity. When both parties are interested we arrange for a meeting or phone conversation to take place. The Owner or captain decides on whom they wish to hire and an offer is tended. The Crewmember and the Owner contact us to confirm the details of the Job Offer. When a job offer is accepted, we are contacted by both parties and an invoice is sent to the owner or captain based on a % of the agreed upon annual salary, separate from the crewmembers pay. Placement fees are the responsibility of the hiring owner and are charged on a percentage of salary. Housing and much more on the Crew Services page!